Do you know what the oldest city in America is? I’m sure you guessed it by my title, but it’s St. Augustine! I recently visited St. Augustine with my class to experience the amazing Florida history in person (which was a thousand times better than reading through the boring textbook and watching short films online). 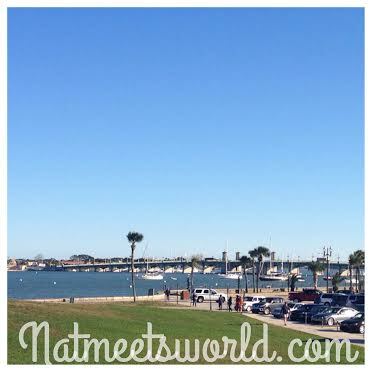 St. Augustine is not only rich in history, but it’s views are breathtaking and the weather is fabulous! (Girls, look forward to great hair days here!) 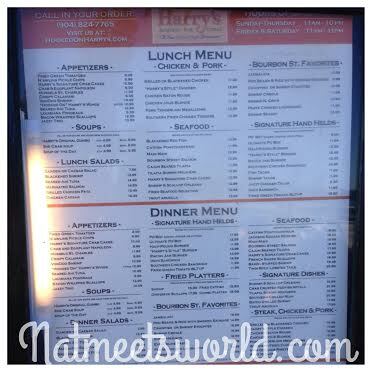 Here are a few things we did, and if you visit, a few things you have to check out! Top: Pirate Museum entrance. Bottom Left: hallway inside museum, Bottom Center: another hallway inside, Bottom Right: authentic hook from the Peter Pan movie. 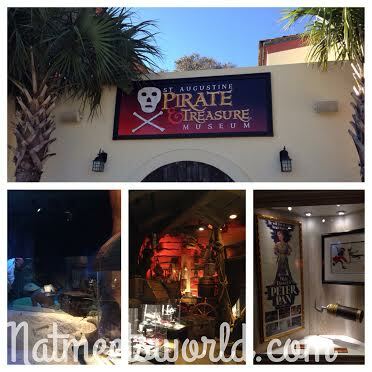 Top: pirate decor, Bottom: moving audio-animatronic. Our tour guide was also fabulous! He was dressed and spoke like a real pirate and the kids were completely zoned in on him the entire time! Top: Exterior of the fort, Bottom: Cannons above the fort. 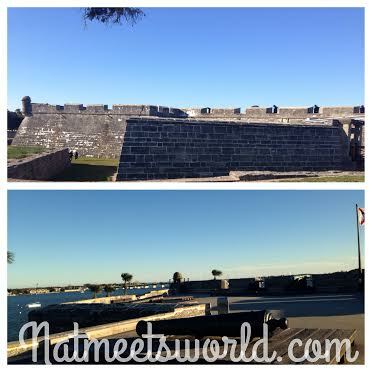 Another very popular place to visit here is the Castillo De San Marcos. This is the most popular (and most noticeable because of its large size) fort in St. Augustine. 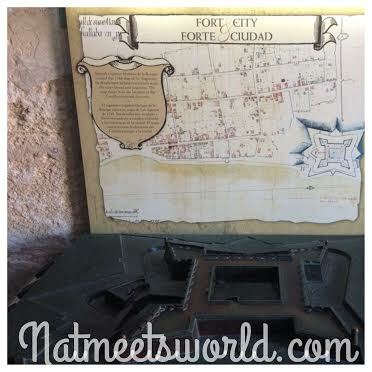 The tour here included the history of how the fort was built (completely out of coquina) as well as touring several rooms where the Spanish lived and escaped several attacks from the French and British. The views from the top of the fort are completely breath taking! 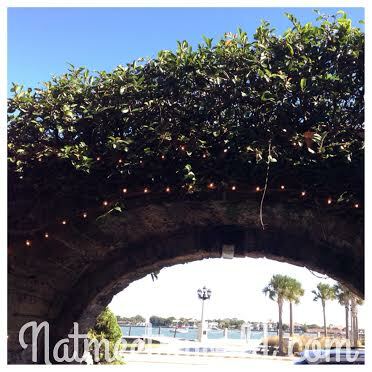 You won’t be disappointed if you visit the Castillo De San Marcos! A model of the fort that was explained during the tour. Beautiful view from the top of the fort. 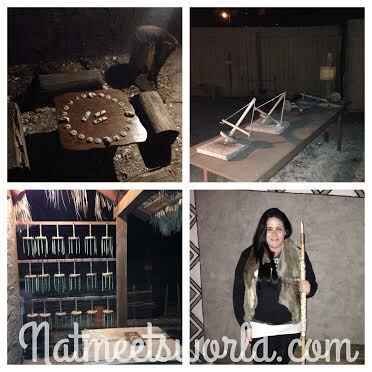 Top Left and Right: Timucuan games, Bottom Left: candle station, Bottom right: I was chosen as the chief of the tour! Check out my outfit and make-up! Fort Menendez was also a great tour. Here you will be provided with the way the Timucuan tribe lived. Their clothing, games, food, forms of shelter, and rituals will be demonstrated during a hands on tour. The best part about this is that you actually get to play the games that they did, as well as get your face painted with markings they used and make candles the old fashioned way! 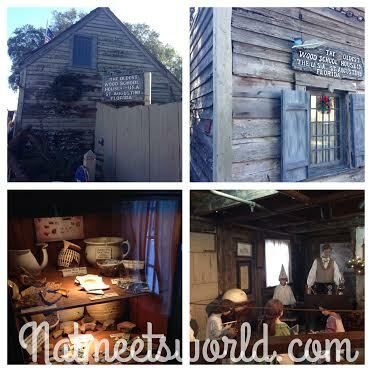 Top Left and Right: oldest schoolhouse exterior, Bottom Left: authentic pieces from the students that attended the school, Bottom Right: audio-animatronics provide a short show of how life was like during these times. Now it’s off to the oldest school house in America. Talk about history blowing me away! This school house is packed with facts that will make your jaw hit the floor several times. It’s amazing to see how far we have come with schools and how teachers used to handle students. I didn’t include all of the pictures I took because I don’t want to spoil it! This is definitely a must see! 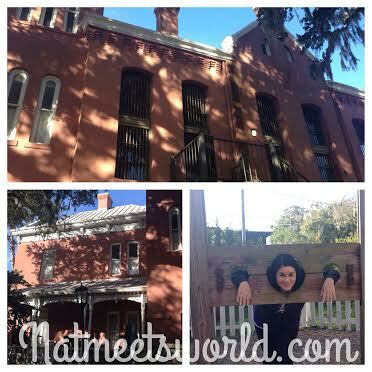 The oldest jail built by Henry Flagler may seem creepy to some, but for me, this was my ultimate favorite. The oldest jail includes stories about the prisoners that were captured by a sheriff CJ Perry, who lived on the estate. Here you will see how inmates worked and spent their long, dark days until their death. 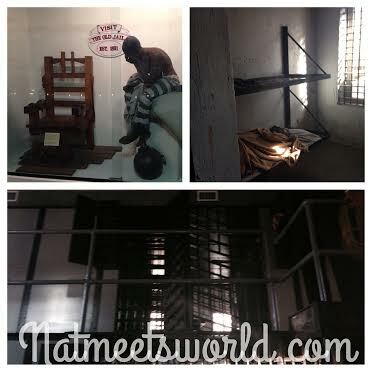 The tour includes several details and the stories will definitely shock you! All of these are pictures of the interior jail cells. Next to the jail, is the oldest store and the history museum. 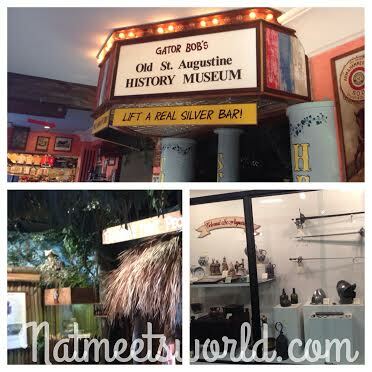 The history museum includes several authentic pieces of both the Timucuan tribe and the Spanish, British, and French when they conquered the city. 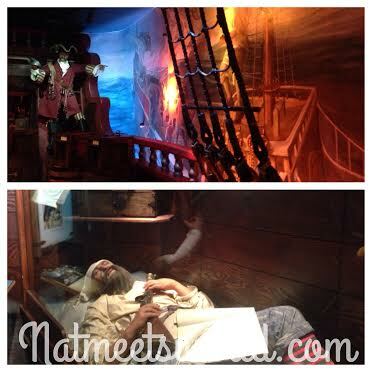 There is also a pirate room with authentic pieces as well. This is a walk through tour with no hands-on experiences. 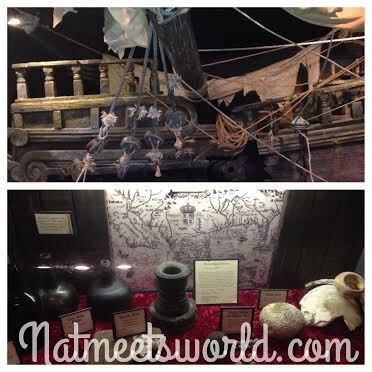 Top: museum entrance, Bottom: Timucuan and pirate room memorabilia inside the museum. Pirate room in the history museum. This picture doesn’t do it justice! The oldest store will make you realize how easy it is for us to live now! I guarantee you will not complain about doing laundry ever again when you see all of the different ways clothes were cleaned. Talk about labor! You will see so many different kinds of household appliances as well as bicycles, kitchen utensils, medicines, music players, cash registers, and so much more. The store is also a must see! 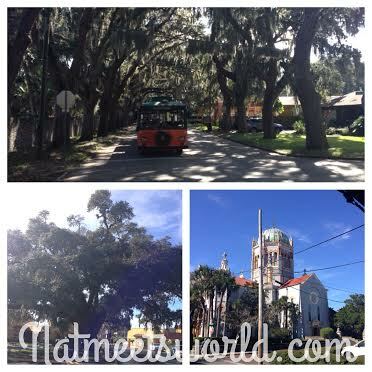 Top: front of the trolley, Bottom Left: the oldest tree in America, Bottom right: The beautiful church built by Henry Flagler. Now that you have walked through all of these places, you will want to relax for a little while. What better way to do that than the trolley tour. Relax while you are whisked away throughout the city and given a little history about Henry Flagler and his major contributions to the city. 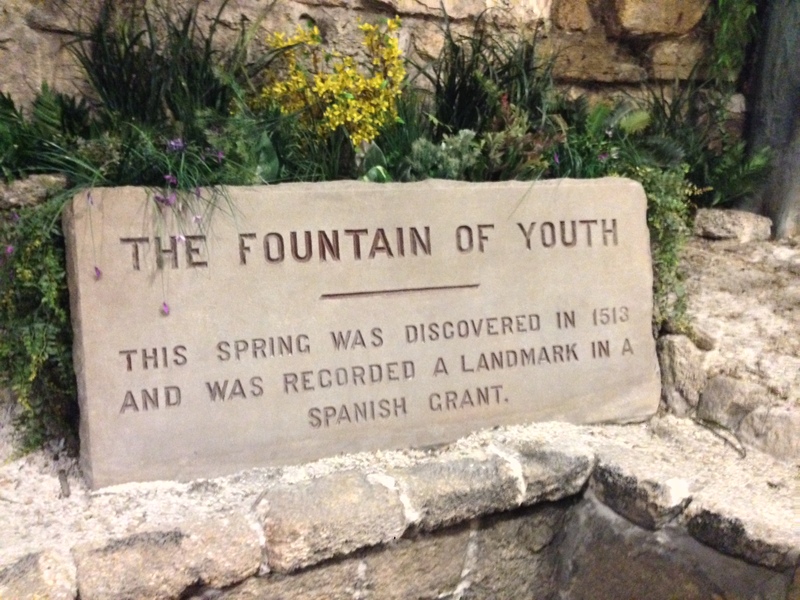 Interior of the Fountain of Youth. Now, off to the Fountain of Youth. Don’t forget to have a glass (or 2, or 3) of the water to keep you looking young! 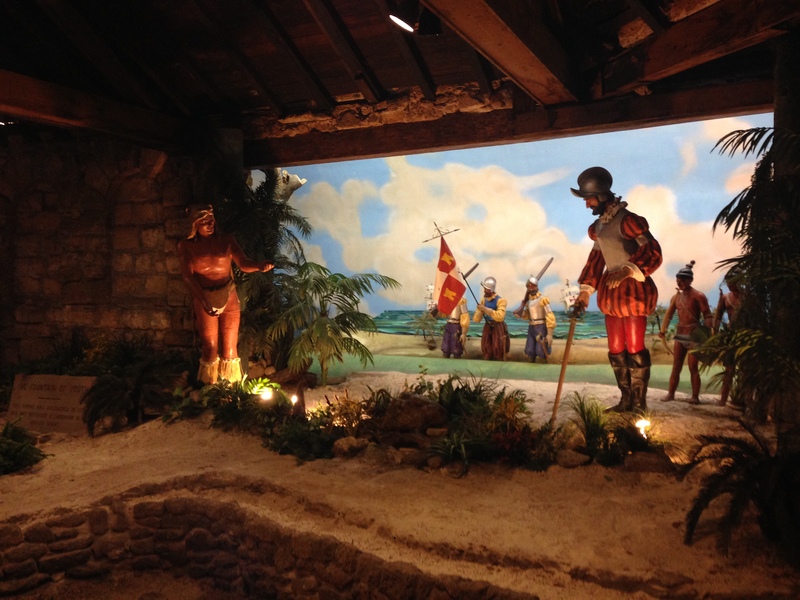 Here you will learn about Juan Ponce De Leon’s expedition and learn a little about the history behind the fountain. There is also a planetarium and a show with a two story model of a globe! The best part about this location? There are 2 live cannon firings throughout the day. You do not want to miss this, so call prior for times. 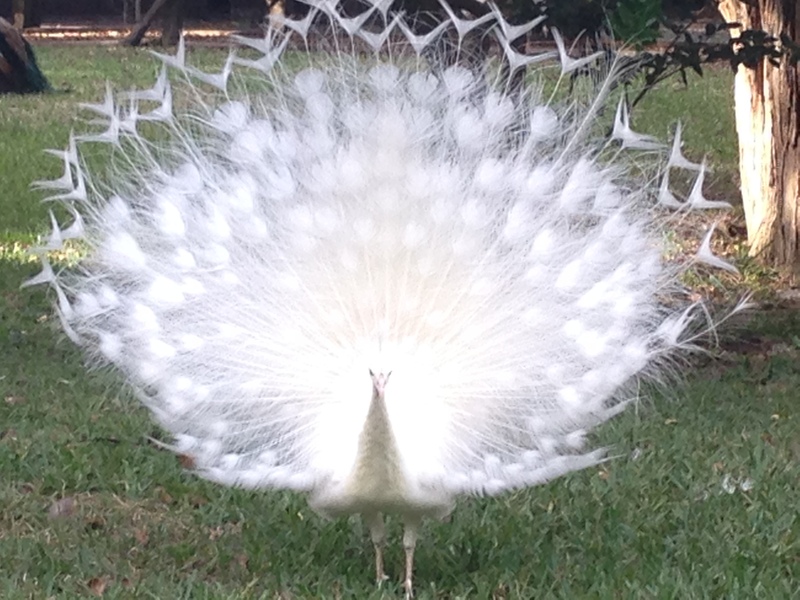 Also, be on the look out for the beautiful peacocks as well. Top Left: sign when entering the restuarant, Top Right: outdoor seating, Bottom Left: interior of restaurant, Bottom Right: bar area inside. Beautiful entrance to the restaurant. 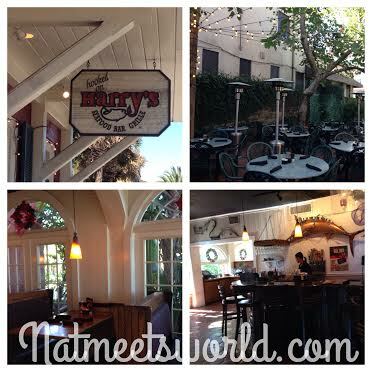 While I went to several restaurants here, my favorite was Harry’s Seafood Bar and Grille. The location is in the heart of St. Augustine, and it has incredible views. The food was absolutely fresh and delicious! I enjoyed the chicken pasta louisianne which was covered in a scrumptious mushroom sauce, while my co-workers devoured their fresh grilled fish sandwiches. The service was great! 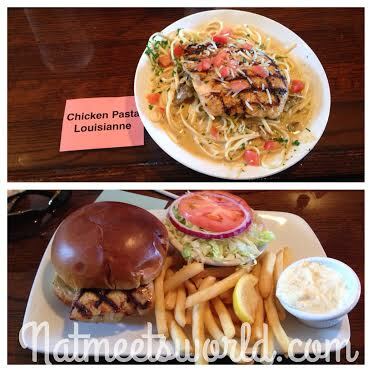 Top: Chicken Pasta Louisianne, Bottom: grilled fish sandwich. As you already know from my previous posts, I am a bathroom freak. When I find a clean public bathroom, that place gets major brownie points. 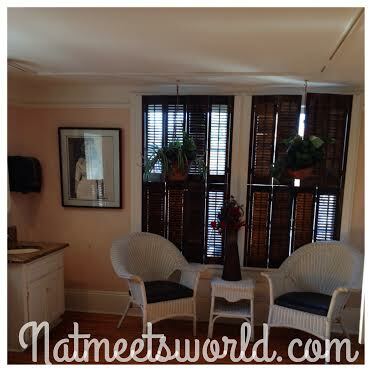 Harry’s had a very quaint, clean bathroom that made me very happy! Next time I go to St. Augustine, I would like to go on the ghost tour. I have heard a lot of good things about it, and I’m always in for a good scare. I would also like to go to one of their many bed and breakfasts. Disclosure: All pictures, comments, and experiences are my own.